On January 26, 2017, approximately twenty Nutter attorneys participated in the 18th annual Walk to the Hill to urge lawmakers to protect state funding for programs that provide civil legal aid to low-income Massachusetts residents. Associates Nick Stabile and Andrew McArdell served as the firm’s co-captains this year, leading Nutter lawyers on one of the largest lobbying days at the Massachusetts State House. Nutter has supported the Walk to the Hill since its inception. 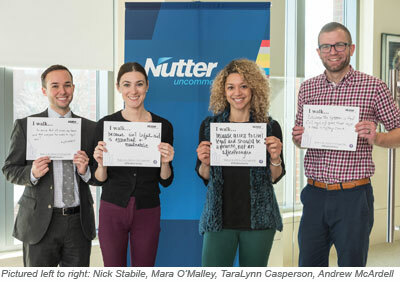 Below, Nutter attorneys share insights about why they walked and the importance of civil legal aid being available in Massachusetts. Andrew McArdell (associate in the Litigation Department): The legal system is enormously complicated. Civil legal aid gives those most in need a much-improved chance at navigating it successfully. Matthew Fecteau (associate in the Trusts and Estates Department): Just because someone can’t afford a lawyer doesn’t mean that their problems aren’t worthy of legal representation. 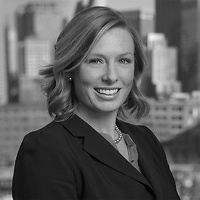 TaraLynn Casperson (associate in the Trusts and Estates Department): To support the Equal Justice Coalition’s effort to preserve funding for programs that can make a huge difference in the lives of those who need legal services the most. Q: What brings you back to participate in the event year after year? Mary Ryan (partner in the Litigation Department): State funding for civil legal aid is critical and I am proud to be part of how Nutter and the legal community come together to do our part to support this essential funding source – there is strength in numbers! Aimee Bryant (associate in the Trusts and Estates Department): Important, valuable tradition at Nutter and firms across the city. It is critical to reaffirm our commitment to equal access to justice year after year. Alison Casey (associate in the Litigation Department): It’s so inspirational to gather at the State House year after year to support the important work of ensuring that all have access to legal counsel and justice. Q: What was your experience of participating in the 2017 Walk to the Hill? Nick Stabile (associate in the Trusts and Estates Department): The Walk provides a great social/professional forum to reconnect with former classmates and professional contacts in your field, as well as to have a chance to meet your elected representatives. It's also a very inspiring event, and the way that so many people can mobilize to support a cause is really remarkable. McArdell: The remarks were riveting. Chief Justice Gants was compassionate, as always. And the GBLS client’s story was incredible; a man with a serious health condition needed help preserving his coverage, and the legal aid he received may have saved his life. Visiting the legislators was a lot of fun; though they were not present themselves, their aides were patient and aware of what we sought. 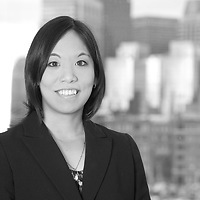 Q: Does Walk to the Hill have an impact on Boston’s legal community? Stabile: In addition to the specific benefits the Walk provides for legal aid organizations, it's an amazing forum for lawyers practicing in Boston (and beyond!) to come together as one and show their support for programs and institutions that are a cornerstone of the legal profession. Even though different parts of Boston and different towns across Massachusetts will benefit from legal aid in different ways, the Walk is a strong way for attorneys to deliver a message and affirm their commitment to equal justice. McArdell: Yes—especially this year. The unpredictable state of federal budgetary priorities was a galvanizing force for this state-centered effort. The legal community is keenly aware that—now, more than ever—we have to act to protect all of the Commonwealth’s citizens and ensure their equal access to justice.